Shane, a freelance photographer who also teaches professional photography in a community college in the San Francisco Bay Area, plans to offer paid online photography courses to students and enthusiasts who could not attend his classes. 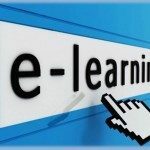 He has been gathering information on SaaS learning management systems and has been reading comparison articles on LMS platforms to get a good grip on the topic. He plans to use a cloud hosted LMS solution for his project because someone told him it is the best option for someone who not that keen on investing heavily on expensive software. But Shane asks how does SaaS learning management system save him money? Hello Shane! Well, your friend is right on a lot of things. SaaS learning management solutions are cheaper compared to a throng of licensed LMS software. In many regards, it is also the better choice too. As the term suggests, SaaS or Software as a Service, implies that you are paying for a service that is already set and wired to address your needs. In your particular cases, that would be a platform where you can sell your courses and do lessons to people who cannot physically attend your lectures. I have listed three reasons why getting a SaaS learning management system is a financially viable option for those whose budget considerations are somewhat minimal. Read on and be enlightened. Like I mentioned above, you are paying for a service, not a software. Software purchases can be very expensive since you have to pay for licenses and other software-related add-ons and inclusions. With SaaS applications and tools, what you pay for is basically the services you want to be rendered to you and your small business. No paying of recurring licensing fees, OS upgrades, and other expenses related to running a software. Also, getting a cloud hosted LMS service means you do not have to get and pay IT professionals for installation, administration, and maintenance of the software. You are also spared from experiencing glitches and system breakdowns and getting specialists to swoop in and restore your setup to its functional state. Since most of the content and information you upload will be stored in an online database, there is virtually no need for you to purchase storage devices, additional hard drives, and networking equipment. Everything you save is in the cloud. This feature absolutely saves you money as well on getting repairing the above mentioned devices as well as the horror of permanently losing all the information you have saved due to corrupted drives and accidental deletion of information. Having your information stored in the cloud also improves data security and information accessibility. Nobody can come in to your system and access your information without your authorization. And since security administration is performed and maintained by the hosting party, there is no need for you to pay for information security from other agencies. Getting a SaaS learning management system as your LMS platform excludes you from spending good money on professionals who are normally required to ensure a smooth and seamless software operation. These include database administrators, IT specialists, software engineers, and others. For a small enterprise, paying these professionals take up a huge chunk off the budget pie. But with a SaaS system, you virtually eliminate the need of getting top software workers to experience a fully functional and effective system. Now, with all that said, it is also important to point out that getting a licensed LMS software also has its benefits. Although they appear to be expensive on paper, licensed software grants users with full control of the system and its configurations. It is important that you understand the pros and cons between hosted SaaS or licensed software before you come up to a crucial decision. What is the best video editing software for Mac?